Crooked Lane Books, 9781629534862, 320pp. With the help of Cole Walker, local veterinarian and a single father, Mattie and Robo must track down the truth before it claims another victim. But the more Mattie investigates, the more she realizes how many secrets her hometown holds. And the key may be Cole's daughter, who knows more than she's saying. The murder was just the beginning, and if Mattie isn't careful, she and Robo could be next. 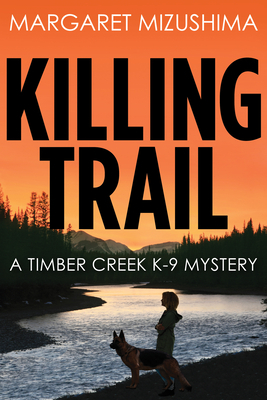 Suspenseful and smart, Killing Trail is an explosive debut that will have readers clamoring for more Mattie and Robo for years to come. Margaret Mizushima balances writing with assisting her husband with their veterinary clinic and Angus cattle herd. Her short story "Hayhook" was published in the Rocky Mountain Fiction Writers 2014 anthology, Crossing Colfax. She lives with her husband on a small ranch in Colorado where they raised two daughters and a multitude of animals.